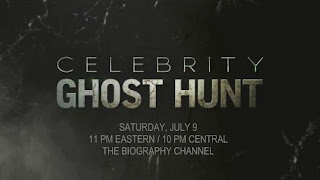 Be sure to tune in to the Biography Channel this Saturday night at 11 PM Eastern for Celebrity Ghost Hunt and find out what happens when I give Eric Roberts (Dark Knight, The Expendables, Sharktopus) and his adorable wife Eliza Simons (Animal House, Dr. Who) a crash-course in paranormal investigation. 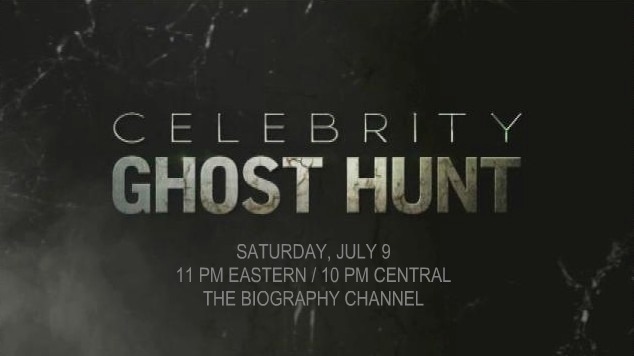 With lots of help from psychic medium Chip Coffey and the folks from North Orange Paranormal Society (NOPS), we'll converge on the Roberts' cozy California cottage to try and capture any anomalies that support the claims of several witnesses, Eric included, who report having seen a ghostly woman on the property. The couple was fantastic to work with, and both were amazed at the discoveries made during the investigation. I watched the show and was very pleased to see that it was done with dignity!!! I hope it becomes a big hit.